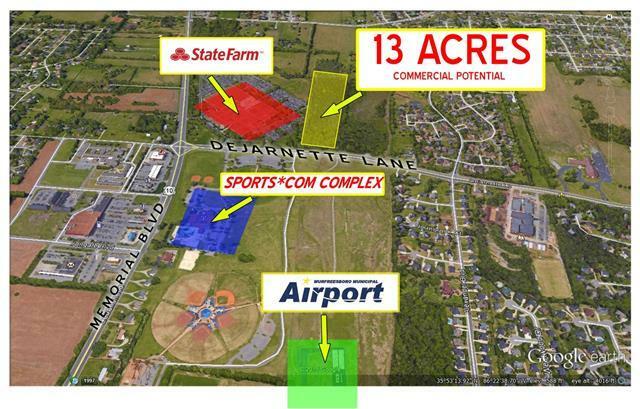 RARE 13-ACRE LAND TRACT inside city limits in heart of M'Boro. Close to Memorial Blvd/joins State Farm Operations. COMMERCIAL POTENTIAL (Currently Zoned RS-15) Level/Wooded/ 390' Rd Frontage. Utilities at road. High traffic count.